Reading up on Boston history, it becomes clear how much happened on the harbor — making today’s East Coast waterfront revitalization projects (New York, Boston, Baltimore) seem pretty thin in comparison. Crossing the harbor on the ferry-boat I beheld the huddled city in the autumnal morning sunlight; the gray shaft of the Ames Building towering beside the gilded dome of the State House on Beacon Hill, a symbol, I imagined it, of my spirit, lofty in its direction and reach, but unable in its repulsing granite surface to absorb and effulge the radiance of the morning sun. There was my native city, the city that I loved, veined with memories, though shadowed as they were with the sorrows of death and the shadows dissolving in the illuminated activities of play and school; and now I was to ask, nay, not ask, but demand of it, the right to labor in a man’s world. Found in the thorough and pretty amazing Imagining Boston: A Literary Landscape, by Shaun O’Connell. 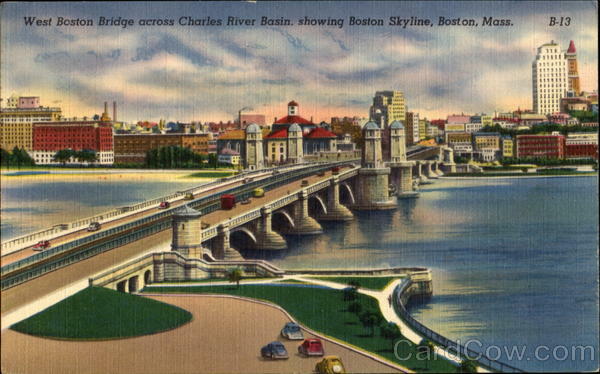 This entry was posted in Boston, Ephemeral Boston and tagged Ames Building, Boston Harbor, Charles River, Job search, State House, William Stanley Braithwaite, Writers&Poets. Bookmark the permalink.